Ambassador David Adelman is a lawyer with Reed Smith LLP in New York who counsels businesses on cross-border transactions. He previously was a managing director at Goldman Sachs in Hong Kong and Singapore, United States Ambassador to Singapore and member of the Georgia State Senate. During his term as U.S. Ambassador, Adelman led eight trade missions throughout Asia including the first American business delegation in history to the capital of Myanmar. He also launched the U.S. – Singapore Strategic Partnership Dialogue, established a Third Country Training Program to address health, educational and environmental issues in South East Asia, worked to make Singapore a party to the Hague Convention on International Child Abductions and negotiated the terms under which U.S. Navy Littoral Combat Ships were for the first time based in Singapore. Adelman was awarded the U.S. State Department Superior Honor Award and the United States Navy Distinguished Public Service Award, the highest award granted by the U.S. Navy to non-military personnel. Adelman served as a member of the Monetary Authority of Singapore’s Capital Markets Committee and the Executive Board of the Hong Kong Treasury Markets Association. He also served as a member of the Board of Governors of the American Chamber of Commerce in Hong Kong. As a member of the Georgia State Senate for eight years, Adelman served as the Minority Whip and Chairman of the Senate Urban Affairs Committee. He authored numerous measures supporting Georgia’s biotechnology industry and led a state business mission to Israel. Before his election to the Georgia Senate, Adelman served as a Trustee of the Fulton-DeKalb Hospital Authority overseeing Georgia’s largest health care system and represented U.S. military veterans on a pro bono basis. 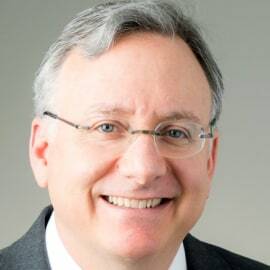 Adelman serves on several corporate advisory boards, is a member of the Council on Foreign Relations and is on the faculty at New York University where he teaches international relations of the Asia-Pacific region at the graduate level. He previously taught courses as an instructor in the Honors Program at the University of Georgia where he earned his bachelor’s degree. Adelman received his J.D. from Emory University and a master’s from Georgia State University. Adelman and his wife Caroline, whom he met when they were students at the University of Georgia, have three children.